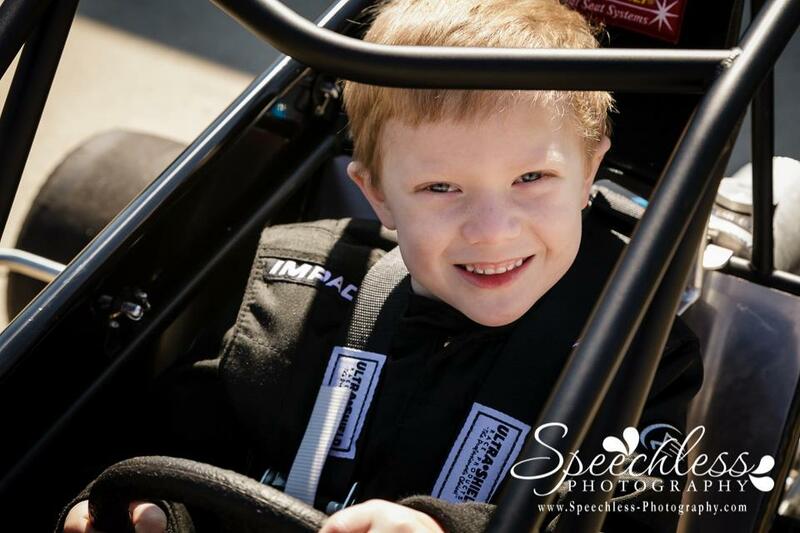 The NCQMA held a session of rookie training this past weekend and Dillon finally got to try out that race car! The rookie training teaches the young drivers (and parents, too) the rules about racing at the NCQMA track and gets them started with some basic skills so that they are approved to begin practicing at the track on their own. The rookie training is 3 days, but we had to miss the first day the weekend before because of Ron traveling for work. During the rookie training, we got a tour of the facilities and received a binder of rules and information. Dillon received a training book, too and it included some homework! He has to color and match up flags to show that he knew what the different colors meant. He did great with this! The car and all of Dillon's safety gear had to go through a safety inspection. Once all that was approved, it was time to gradually introduce him to the track! 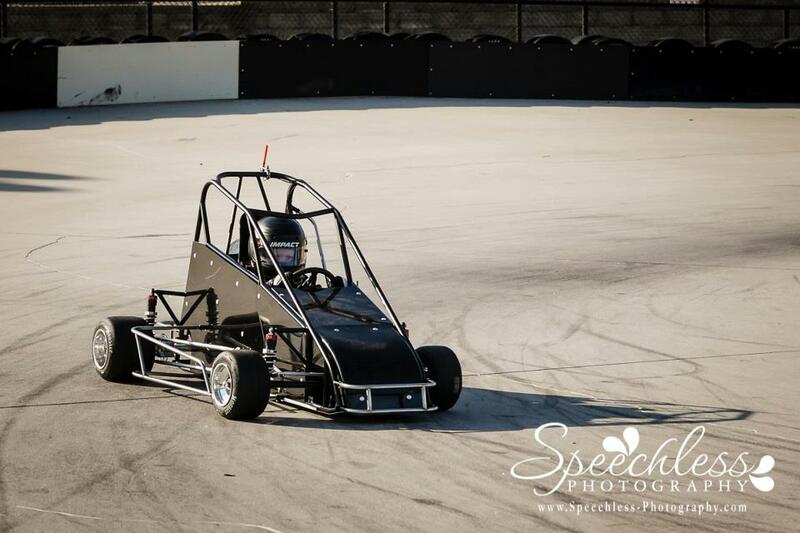 Ron got to be the motor and push Dillon around the track for his first few solo laps. Poor Ron had recently recovered from the flu, so I think this was his least favorite part! After that, Dillon got to run some slow laps on his own. I was so impressed with his control and he did a great job! His 2nd time out, he was like a completely different driver! He had a radio this time and I think having someone talking to him boosted his confidence to try and push that gas pedal a little more. Dillon did great and I'm not sure whether he or Ron is more excited to come back to practice! I'll post more photos soon, but I'm still trying to wade through the 800 or so that I took from our weekend of fun!